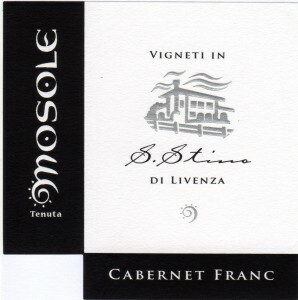 Tenuta Mosole is situated in the eastern most part of the province of Venice, near the border with Friuli, it is located off the famous wine road: “Strada dei Vini”. At Tenuta Mosole, the belief is that the consumer, the grape and the terroir are indissolubly linked. Tenuta Mosole believes in delivering a product that is wholesome and consistent in its organoleptic characteristics. 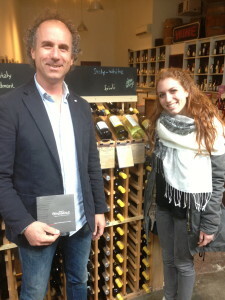 Truly in love with Italian culture and wine, they crave to share their passion and wine culture with consumers, to increase the general level of eno-gastronomic competence and awareness of the values that lie within every bottle of wine. Every step carried out for the health of the vines and grapes is done taking into consideration the equilibrium of the ecosystem, aware that the respect of the earth guarantees the well- being of who reaps the fruits. The characteristics of the soil are the results of ancient floods, frequent changes of the riverbed and differentiated deposits of clay particles that, even though shallow, form deposits of carbonate that give uniqueness and intensity to the scents of the wines. Region: Eastern Veneto DOC area: Lison Pramaggiore Growing system: Guyot between 4.500 and 6.000 vines per ha. Time of Harvest: End of September Vinification: Maceration on the skins for an average of 6 – 8 days with temperature control between 24° and 26° C. Maturation: Seven months in cement tanks Characteristics: Red wine with an aroma of raspberries and wild blackberries. It has a strong tannic taste, but is also soft, long and charming. 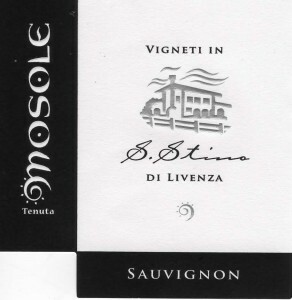 Tenuta Mosole is located in the Veneto on the Friuli border therefore the wines have more in common with their Friuli cousins than their Veneto brothers. 100% Cabernet Franc grown in the Lison Pramaggiore Clay soils the grapes are harvested at the end of September. 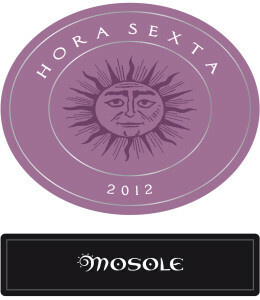 Maceration on the skins for an average of 6 – 8 days with temperature control between 24° and 26° C Maturation: Seven months in cement tanks Characteristics: A ruby red colour with shades of purple. It has an aroma of spices and peppers with a vegetable background. A medium to full-bodied wine with a soft, velvety texture, medium tannins and a persistent finish. Soil: Clay Region: Eastern Veneto IGT Area: Veneto Oreientale Growing system: Guyot; 6,500 vines per hectare & Sylvoz with 3.000 vines per ha. Harvest: End of August/ Early September Vinification: Soft pressing of grapes, fermentation with selected yeasts and temperature control between 16° and 18° C. Maturation: On the lees for six months in stainless steel or cement tanks Notes: Dry white wine with amber reflections. It has a bouquet of pear and peach with a light almond background. On the palate it is smooth, charming and persistent. 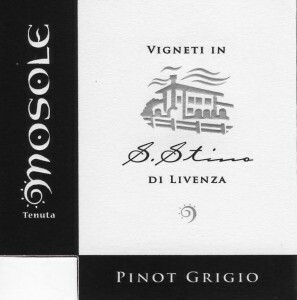 Grape: 100% Sauvignon Soil: Clay Region: Eastern Veneto DOC Area: Lison Pramaggiore Growing system: Guyot; 6,000 vines per hectare Harvest: End of August/ Early September Vinification: Soft pressing of grapes, fermentation with selected yeasts and temperature control at 17° C Maturation: On the lees for six months in stainless steel or cement tanks. Notes: White wine with a straw yellow colour and greenish reflexes. It has traces of exotic fruits, white peach, tomato leaves and a broad, rich soft taste with traces of exotic fruits. 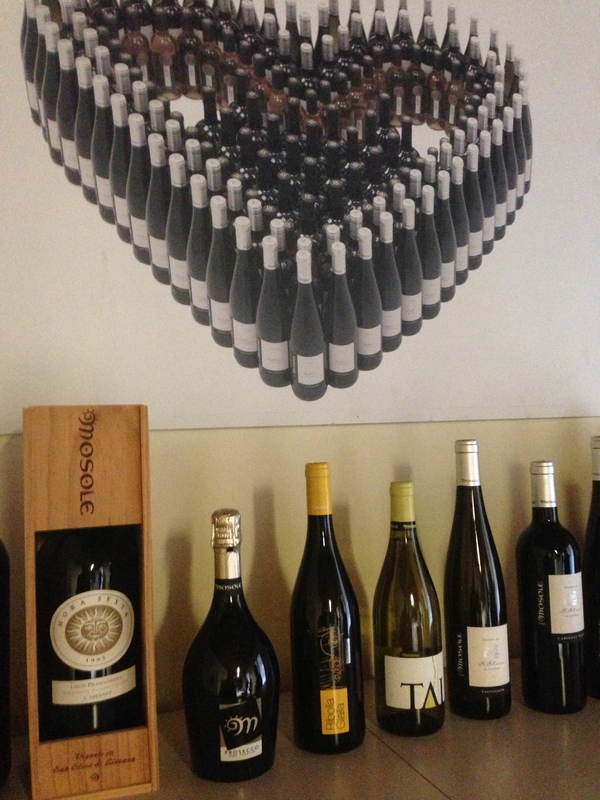 The wine is drinking best from 2014-2015 and should be served 10-12 degrees celsius. 13% alcohol by volume.